Check out our Recommended Handicappers for similar articles. March Madness is here with college basketball games going from early morning until late in the evening. This presents a unique opportunity for avid sports bettors to make money, but it can also be tempting to go overboard with so much action throughout the day. Acquiring the service of a professional handicapper can be the difference between a terrific and a disastrous month, and we have compiled a list of the our recommended top 3 handicappers to follow for March Madness 2017. 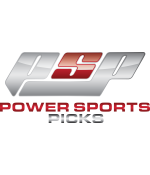 The obvious #1 choice as Bryan Power is sitting at the top of our College Basketball Leaderboard for the 2016/2017 season and Power Sports is up an absolutely *INSANE* $51K in NCAAB going back to last season! He’s +$33,300 this season alone including a LEGENDARY 64-31-3 w/ 10*s! 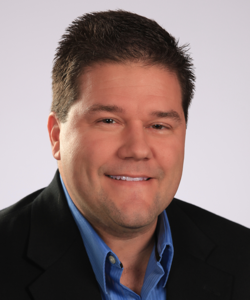 Scott “The Bulldog” Rickenbach ranks among the most consistent and reliable handicappers in the industry on a year in and year out basis, and he’s been on a tear to start 2017 with his $1,000/game betting clients cashing in more than $47,000 with all sports. A good bulk of that is coming from his college basketball plays, and we expect Scott to remain hot during March Madness. A former poker pro, Mike Lundin started registering his picks on our site in mid-June 2014. He managed to finish as the #8 Handicapper overall with a profit of nearly $35,000 for the year and he’s extremely consistent with his college basketball selections, looking to lock up a third straight season in the green. Mike’s not a high volume bettor when it comes to college basketball, but when he releases a pick you better believe it’s a winner and he’s 9-1 L10 Top Rated College Basketball plays. *All numbers are as of the publication of this article. Check out our All Sports Leaderboards and Best Cappers L7, 30, 60 Days to get up to date numbers.